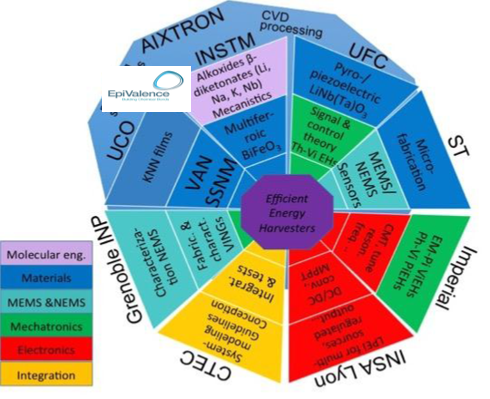 Targeting new advanced materials integration into automotive applications the ENHANCE network is a 4 year Training Network that brings together European experts from all aspects of the fabrication and development supply chain to provide PhD Early Stage Researchers with broad and intensive training. EpiValence, as a specialty chemical manufacturer, is tasked with providing expertise and training in the area of precursor development and supply – from molecular design to full scale production – to ensure scientific proficiency and chemical processing techniques are transferred to young scientists as skills to progress their future careers. In addition chemical supply to partners will support their activities. 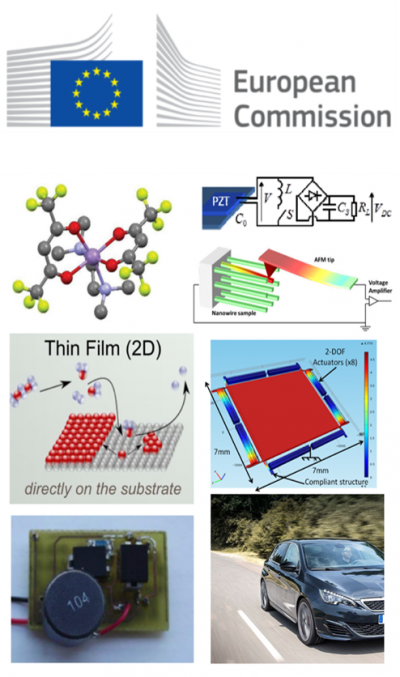 Key training topics to be addressed by the network focus on the development of energy harvesters compatible with MEMS technology and able to power wireless sensor. Other important topics include technology innovation, education and intellectual asset management. ENHANCE links world-leading research groups at academic institutions to give a combined, integrated approach of synthesis/fabrication, characterization, modeling/theory linked to concepts for materials integration in devices and systems. This technology platform when applied to automobiles will take us one step closer to creating truly green vehicles. For further details on the network and partners will be released on its dedicated website (click here).